BBQ Sauce is something of a debate among smoked meat lovers. Different regional areas call for completely different BBQ sauces. It wasn’t until I had met my husband that I ever even had Eastern North Carolina BBQ Sauce. His family grew up in Eastern North Carolina and prefer this vinegar based sauce to any other. I grew up on sweet BBQ sauce but when I first tasted the vinegary BBQ sauce I was won over. It is absolutely delicious and really makes the meat sing. It’s my absolute favorite and I have won over many friends who have come over to try it. 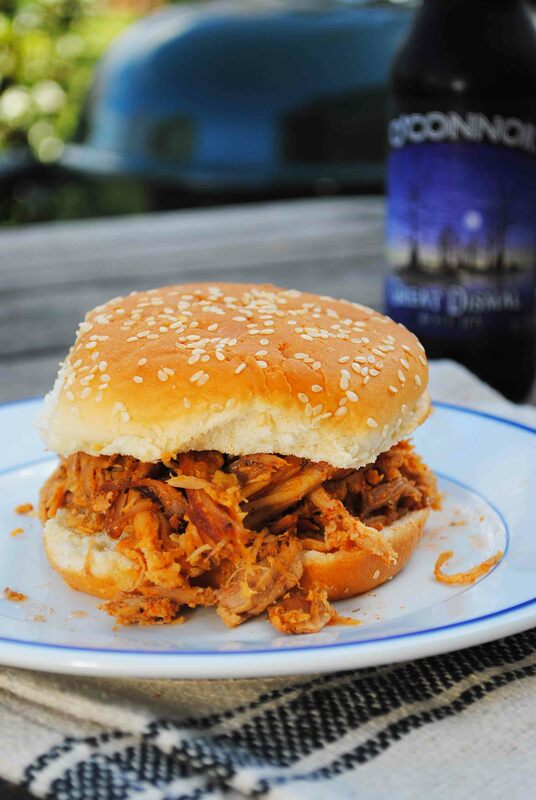 It’s not sweet at all, it’s got a little kick to it, and it really elevates pulled pork. You can easily mix this up in a mason jar and keep it in the fridge. 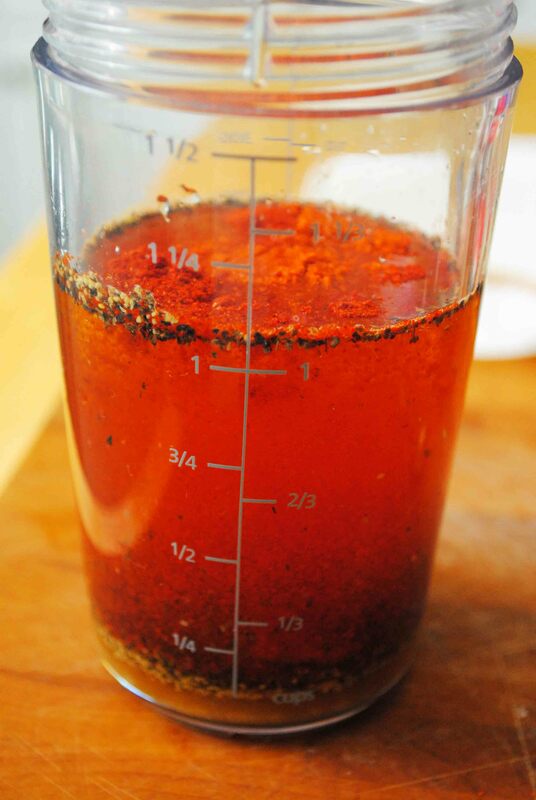 I like to give it a good shake before I serve it since a lot of the seasonings like to settle on the bottom. 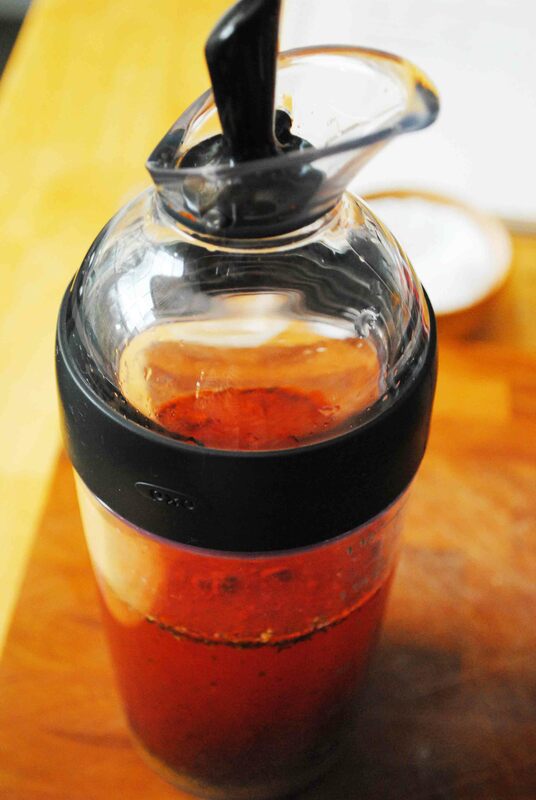 I’ve recently started using this OXO Dressing bottle to mix it in and love that it already has the measurements on the side, and an adjustable pouring top. 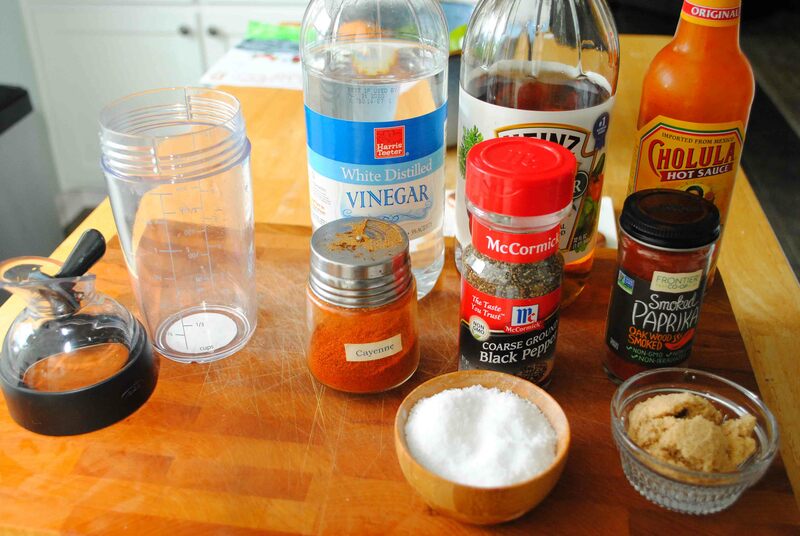 Put all ingredients into a container with a lid, put the lid on tightly and shake well. Can be stored in the fridge for several weeks.